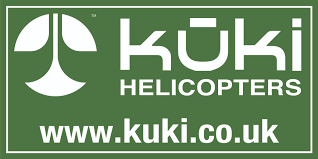 The club is delighted to be able to announce that Kuki Helicopters have generously offered to extend their current sponsorship arrangements with the club through to the end of the 2019 season. Based at Gamston Kuki offers ‘everything aviation ‘,from flight discovery days,ground schools,a range of instruction pacakeges and even sales. They have a range of of craft in the fleet including Robinson R22 beta and R 44 Raven,Bell jet 206 jetranger,MD500 and Cessna 152. Founder Simon Nicholls has extensive experience as an instructor previously working in both the UK and USA and his enthusiasm for flight led him to create Kuki ,a training company with a fresh,no-nonsense approach where people can enjoy their downtime and fulfil their flying dreams. For those new to flying (or as a fantastic gift) the company offer trail lessons at prices that can suit every budget.